New Optima promises to be better to drive and more efficient than its predecessor. 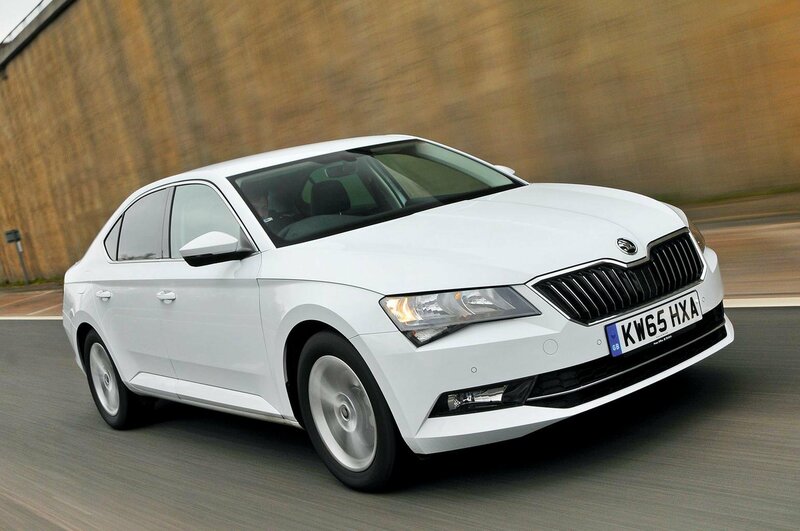 The Superb is one of our favourite executive cars; Greenline version has CO2 emission of just 95g/km. On the face of it, not much about the Kia Optima has changed; its striking looks remain much as they were when the saloon first appeared back in 2010 and you still get lots of equipment and a standard seven-year warranty. Despite all of these positives, the previous Optima was one of our least favourite executive cars. A bumpy ride and a gruff engine were two big drawbacks and CO2 emissions were far too high to attract tax-conscious company car drivers. These are all things Kia has worked hard to improve with this heavily modified version, which has grown slightly in all directions and also gets a new interior along with an uprated engine. 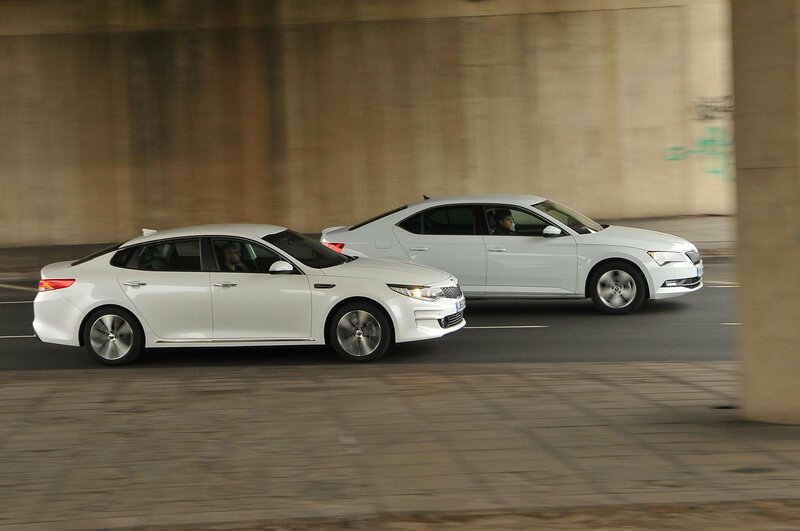 To find out how successful the overhaul has been we’re pitting the new Optima against the brilliant Skoda Superb. The Skoda has been our class favourite at this price since its launch last year, but this is the first time we’ve tried the fuel-sipping Greenline version. The Greenline uses the same 1.6-litre diesel engine as other Superbs, but emits even less CO2 thanks to its lowered suspension, energy-saving tyres and longer gearing. A bit too long, you could argue, because around town you find yourself continually swapping between second and third gear; neither feels quite right. You also need to change down at least one gear, usually two, to stir up a meaningful burst of acceleration out on the open road. 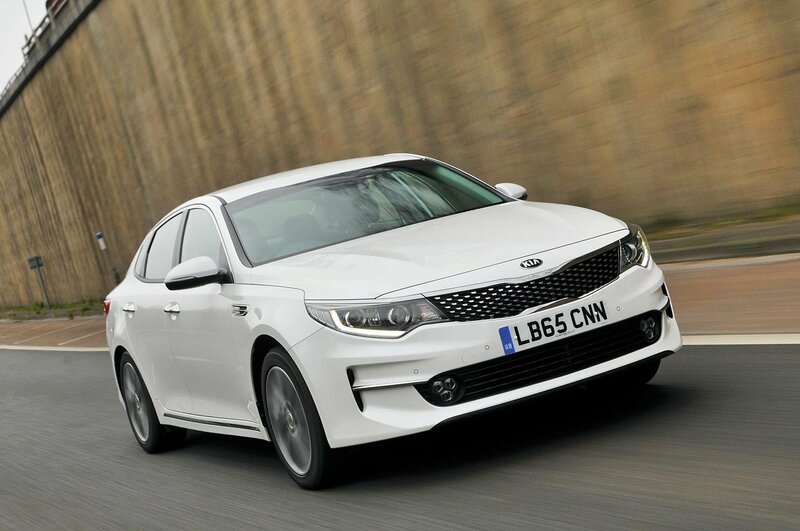 As well as having shorter gearing, the Optima benefits from a more powerful, 1.7-litre engine that pulls harder at low revs, so you don’t always need to change down a gear for a quick spurt of acceleration. The Optima is ultimately the faster car when you rev its engine and change up through the gears, too, although only by a small margin. It was half a second quicker than the Superb when accelerating from 30-70mph, as you might when joining a motorway. What’s more, you won’t want to work the Optimas engine hard very often; it’s bearably subdued at tickover, but becomes harsh and clattery as the revs rise. True, the Superb’s motor is a bit gruff at very low revs, but it’s noticeably smoother and quieter the rest of the time. That, combined with less road roar on the motorway and similar wind noise, makes the Superb the quieter cruiser. Only a slightly stiff and notchy gearshift lets the side down; the Optima’s has a longer throw, but it is lighter and more positive. 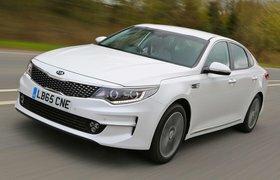 Despite its lowered suspension, the Superb’s body still sways about a fair bit through corners and its low-rolling resistance tyres surrender their grip earlier than the Optima’s if you try to tackle bends with any real vigour. However, the Kia’s steering feels far too numb and disconnected to encourage you to drive quickly. The Superb’s steering is precise and builds resistance consistently as you turn the wheel, giving you a fair sense of what the front wheels are doing. You still wouldn’t describe is as ‘fun’, though. The Greenline isn’t quite as smooth-riding as other Superbs we’ve tried, no doubt due to that lowered suspension. It’s still a comfortable thing, though. The Optima is altogether firmer around town, isolating you less well from lumps and bumps. The ride quality improves the faster you go, though, so both cars are similarly settled on the motorway.